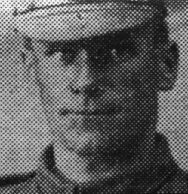 Sergeant William Edward Coombes, The Worcestershire Regiment - KIA Flanders 11/4/18. Nature of Death: Killed in action Neuve Eglise, Flanders 11/4/18. At some point after this act of bravery, he transferred to the 10th Battalion – probably as a result of being wounded. This battalion had been in France since July 1915, but its first major action did not occur until a year later on the Somme. On the 3rd July they attacked La Boiselle and suffered heavy casualties (110 other ranks killed alone). It is highly likely that Coombes, who was wounded in July, was injured at this action.